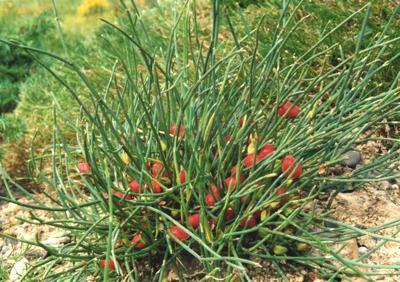 Ephedra are shrubs that grow not more than five feet, and usually they are leafless, in accordance with the variety. The shrubs commonly have multiple erect branches that make the plant look like a broom. The shrub has a scale like leaves and reddish seeds which are fleshy. It has delicate taproots growing from the base of the plant straight down. It has been a traditional Chinese remedy for bronchitis, allergies, asthma, flu, and colds. Lately, it is being used as an aid in weight loss and performance in sports. Ephedra is also known (aside from the so many names that start with Ephedra or sound like it) as Joint-pine, Ma Huang, Mormon tea, Brigham tea, Teamsters tea, Belcho, Sida cordifolia, Epitonin, Cao Ma Huang, Efedra, Desert Herb, Ephedrae Herba, Joint Fir, Raisin de Mer, Sea Grape, Yellow Horse, and Yellow Astringent. It belongs to Ephedraceae family and order Ephedrales. The shrubs grow in dry climates all around North Africa, North America, Europe, Southwest Asia, Central Asia, and South America. In temperate climates, most species of the shrub grow in sandy grounds like the shores with direct exposure to sunlight. When taking Ephedra, it is best to have proper consultation with the doctor first. There were reports that although it is quite effective, it can yield different side effects so it is wise to seek the medical authority’s advice before proceeding. FDA banned the use of Ephedra. The reason being looked up to is that it can highly stimulate the heart, lungs, and the entire nervous system aside from the many side effects that it can bring. It promotes weight loss when combined with caffeine. It is said to increase basal metabolic rate, suppress appetite, and increase energy disbursement. Today, the combination of Ephedra and caffeine is not recommended because studies showed that the lethal union can be disastrous to the health of the body. In Chinese traditional medicine, the herb was used to give remedy or relief to bronchitis, asthma, allergies, chills, colds, flu, fever, and other respiratory ailments. The presence of Ephedrine and Pseudoephedrine in the plant tends to widen the bronchioles (the small airways within the lungs). Ephedrine can still be used for asthma, and it is quite effective, but other medications with fewer side effects are recommended to lower risks involved. Ephedra can also be used in sports, and it has a similar structure as that of Amphetamine. It has been taken to increase athletic performance in terms of strength and endurance, aggressiveness, and alertness while reducing fatigue. Some people claim that it can, although there was no direct evidence to support the claim. Due to its many side effects, most sports association banned the usage of Ephedra. 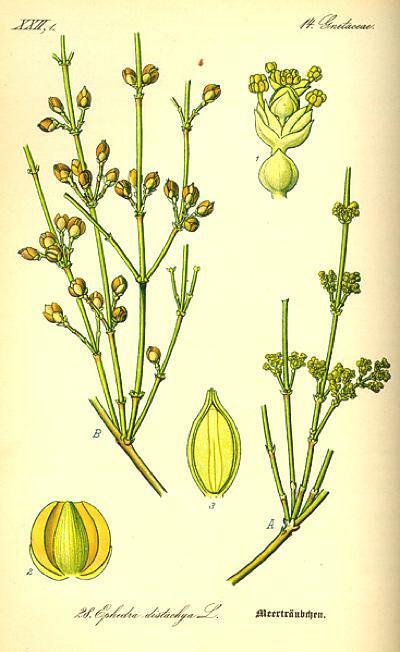 Do not take Ephedra if pregnant, breastfeeding, or have suspicions of being pregnant; feels anxious; have chest pains; have diabetes and glaucoma; problems with thyroid; suffering from an irregular heartbeat or rapid heartbeat; with high blood pressure; have a seizure disorder; have kidney stones; or suffering from pheochromocytoma. The side effects may include headache or dizziness; nausea; diarrhea or stomach irritation; anxiety or psychosis; dry mouth; uncontrollable tremors; sweating or flushing; diminished appetite; high blood pressure; restlessness, sleeping problems, or feeling nervous all the time; increased urination; rapid rhythm of the heart; or manifestations of kidney stones. Be informed that using Ephedra can somehow cause seizures, stroke, psychosis, and even death. It is a very intelligent and sound decision to seek the doctor’s help always for guidance instead of self-medication. It is not recommended to use by children. The recommendation in taking Ephedrine must be 24mg or less per day and usage should not exceed 7 straight days. The whole Ephedra may have an average of 1% Ephedrine. 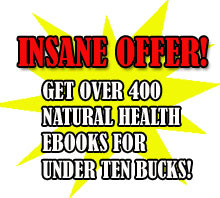 Eight hundred milligrams of whole herb Ephedra may have 8mg of Ephedrine. As tea, steep one to four grams of whole Ephedra herb in half cup boiling water and divide into 4 or more for a day’s consumption. Follow the recommended dosage mentioned and always ask for doctor’s advice prior to consumption. If the symptoms related to side effects began to manifest, go to a doctor’s office immediately in order to have proper diagnosis. It may be due to Ephedra or something else that triggered such reactions.